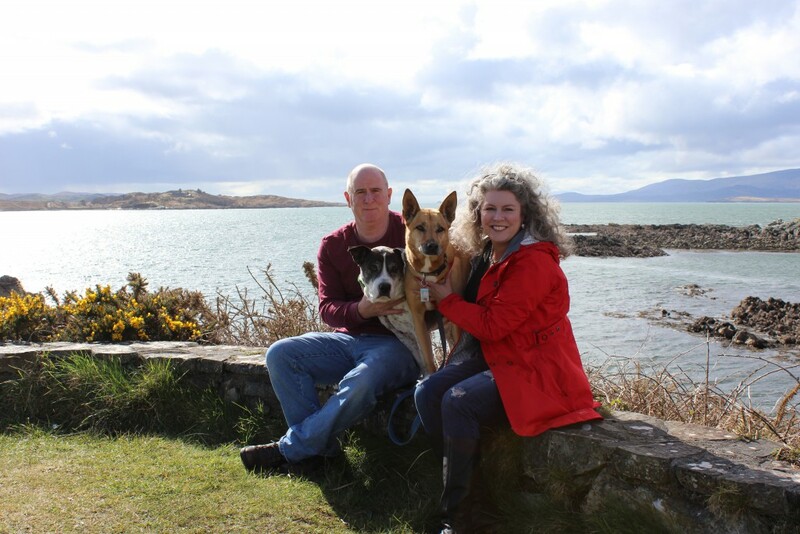 After visiting Ireland for many years Paul and Jamie fell in love with County Kerry, most especially the area surrounding Kenmare Bay, while staying in Kenmare in 2010. It took several years of searching but, in 2013, they bought a holiday home outside of Kenmare with the intention of moving to Ireland full time within a few years. They were able to make that dream a reality in early 2016 when they moved to Ireland with their two dogs, Maeve and Niamh. During the years that Paul and Jamie remained in the United States, Kerry House Management kept their home in Ireland secure and took care of any needs that arose. Because of this they have a special understanding of the needs of holiday home owners and those who have to leave their home and pets for any length of time. In 2015, Paul retired after 35 years from a career in law enforcement in Dallas, Texas. During his career he worked in Patrol, SWAT, Investigations and the Gang Unit. Paul also spent 24 years as a reservist in the United States Coast Guard. Paul is friendly and rarely meets a stranger. His hobbies include working in the garden and boating. Jamie also retired from law enforcement in Dallas after 25 years. She worked in Patrol, Human Resources, and at the Love Field Airport. In 2009 she was selected to complete a Fellowship with the Police Executive Research Forum (PERF) and worked with them on projects in Washington D.C., Chicago, Illinois and Fayetteville, North Carolina. Her hobbies include running, triathlon, hiking, and reading. Together Paul and Jamie are enjoying exploring Ireland, meeting new friends and spending time with their dogs. They love animals, spending time on the water and trying new restaurants and pubs. Because of their careers they are decisive, detail oriented, observant and trustworthy.